The 24-year-old opted to swap Premier League side Fulham for the Reds in August in search of regular first-team football. Woodrow had a frustrating start to life at Oakwell, missing nearly three months of the season due to an injury sustained in one of his first training sessions at the club. 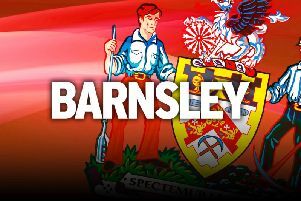 But since then he has become a key part in Barnsley’s surge up to second in the League One table, forming a formidable strike partnership with top-scorer Kieffer Moore. And with the Tykes among the favourites to return to the Championship at the first attempt, Woodrow’s debut campaign in South Yorkshire is currently going to plan. “I said in my first interview here that the aim was to get promoted. That was a goal for me,” he said. “We all want to play at a high level, as high a level as we can. I have played in the Championship a lot of times and I want to be back there playing in that division. Woodrow took his goal tally for the season to 11, in just 21 appearances, with a brace in last Saturday’s 4-1 win at Gillingham. However, despite his impressive start to life at Barnsley, he has not set any personal targets. “It’s nice to get into double figures and hopefully I can keep performing well, keep getting goals and see where I end up at the end of the season,” he said. “I am a bit disappointed I missed the start of the season, 10 or 11 weeks, so it would be nice playing from then.